Hedwig Fijen, director of Manifesta, and Ippolito Pestellini Laparelli, creative mediator of Manifesta 12 and partner of the architecture studio OMA, open up about the themes impregnating the latest edition of their itinerant event. Using the city of Palermo as their focal point, they reflect on the complexities of the contemporary world, the research process that led to the making of Atlas, the comprehensive publication condensing the study of the town’s histories and voices, and the many projects realized specifically for the city, involving not only artists and thinkers, but also its native inhabitants. MOUSSE: My first question is about the location, Palermo. What was your approach toward the city? Hedwig, can you speak a bit about how the city fits into the history of Manifesta? And Ippolito, can you talk about publication Atlas—what the research was like, and the most interesting information you gathered? 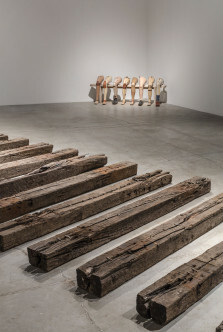 HEDWIG FIJEN: As you know, Manifesta originated in the 1990s after the fall of the Berlin Wall, with the aspiration to balance the gaps between East and West. In the first two decades we were focused on the notion of Europe in a post-Communist timeframe as the main contextual element. Manifesta is not an aesthetic series of exhibitions; because of its itinerant character, it’s devoted to select host cities in a much complex geopolitical context. Every five years or so I revisit my strategy, asking: What are the key geopolitical issues concerning the citizens of Europe? It could be something like a utopian feeling after the fall of the Berlin Wall, or the scenario today, twenty-five years into the disintegration of Europe. The most urgent topics that everyone in Europe is dealing with at this very moment are the integration, and disintergration, of Europe and its citizens; the ecological situation and how we can survive in our planet in a human way. We look at how these issues affect our cities specifically, since Manifesta doesn’t take place in institutions, but rather in an urban context. The host cities play an extremely important role. Because of our nomadic character, we always want to create a deep link with what is happening in the context of the host city. The next ten-year strategy involves thinking about how cities at the borders of Europe are dealing with migration problems, frontier issues, and mostly, as well as how these cities are finding alternative routings for their problems and crises. I have been introduced to Leoluca Orlando, the mayor of Palermo, for fifteen years ago now, and six years ago he invited me to spend three weeks there. 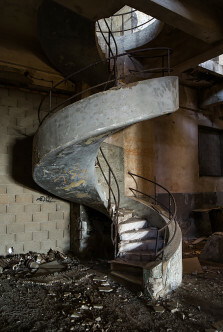 I was extremely impressed by the transitions—trasformazione—taking place, from a Mafia capital to a capital of Culture. We see Palermo as a city that incorporates two thousand, or maybe even three thousand, years of embedded, condensed history of Europe, Northern Africa, and the Middle East. It has a central position between the three continents, and it was one of the first European cities to directly confront other culture’s on their island. What I think is so interesting, for local and international audiences, is that there is no direct, specific xenophobia here as there is in many other European cities. This is partly because of the thousands of years of living together, coexistence, in Sicily. But also because of the radical policies of Mayor Orlando, and the artificial and real integration of people, foreigners, here. This is a bit of what it means to look at the world through Palermo’s eyes. Since we don’t want to maintain a specific contemporary art event only, and I tried to concretize this transformation by commissioning an urban research for the first time. IPPOLITO PESTELLINI LAPARELLI: Manifesta approached me as a partner of OMA with the intention to develop a preliminary investigation on Palermo that could serve as a blue-print for the development of the biennial and the city. The intention was to confront since the early stages the typical dilemmas that every temporary cultural event faces: how to connect to the host city and how to create a long term impact, etc. Being Sicilian but operating from abroad, helped developing a point of view that would hopefully bring together the outsider and insider perspectives. Palermo Atlas is not a traditional urban analysis but an interdisciplinary exploration, which served as a form of mediation between the Palermo and Manifesta, and which helped extracting from the city contents and places to deal with. It was not developed in isolation. We walked with dozens of citizens across relevant sections of their cities to discover places, register events, gather stories, to decode the complex realities that coexist in Palermo today. 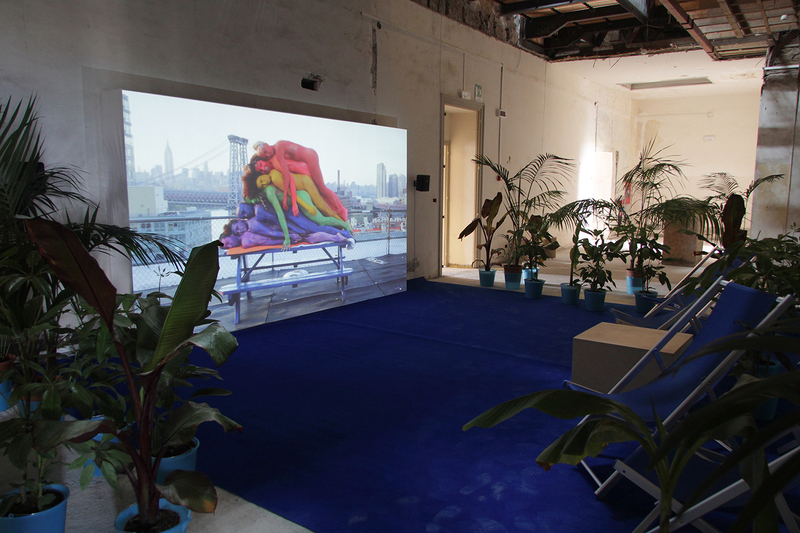 Out of this initial engagement Manifesta 12 has partnered with Palermo and it is inhabiting Palermo. Through the study the city becomes the project of this edition of Manifesta. Palermo is an ideal place to investigate the current moment. The challenges and the transformations that the city is experiencing – the simultaneous impact of migrations, climate change, mass tourism, illegal trafficking, etc.—make it an incubator of problematic global conditions and a testing ground for the present and future of the Mediterranean and Europe at large. There is a particular point of view that emerges from Palermo Atlas which reveals Palermo not any longer as a city, but as a node in an expanded geography of flows—of people, capital, goods, data, seeds, germs—that today extend far beyond the Mediterranean and affect its dynamics. Palermo is a place where the local and the global dimensions are suddenly reconciled—a small geography that can really tell us the status quo of the entire world. The impact of trans-territorial movements are brutally evident here, and the Atlas is an attempt to detect and document these emerging conditions. There are many examples: in the historical neighborhood of Ballaro’ Palermo is today more similar to Lagos or Accra; ancient religious traditions such as the procession of Santa Rosalia have been adopted, translated and reinterpreted by the Tamil community inhabiting the city and unveiling unexpected forms of contemporary syncretism; a Bangladeshi or Senegalese farmer due to the impact of climate change can feel more at home, redefining one seed at the time the local agricultural landscape; but this is also a switch point, a territory physically connected through submarine fiberoptic cables to South East-Asia and the rest of the world transferring data at the speed of light, and at the same time it acts as an operating platform for global warfare operations, etc. When you look at the map of flows crossing through Palermo, it is clear how it behaves as a planetary joint. One evening while in conversation with a local Agronomy Professor, Giuseppe Barbera, we analysed an 1875 landscape view of Palermo and realized that those plants depicted in the painting are not autochthone and that what we normally call the Mediterranean landscape is the result of trans territorial movements from five different continents. 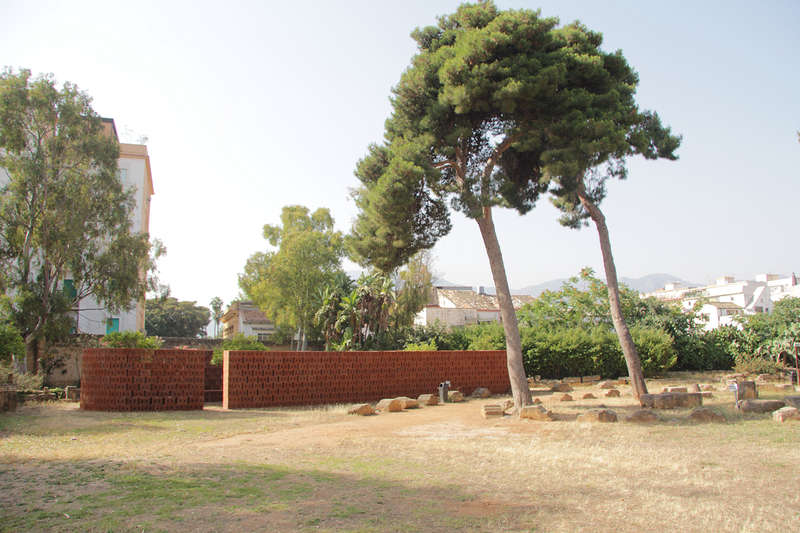 May be that’s the most relevant image of the Palermo Atlas and of Manifesta 12: The Planetary Garden as a whole. The Atlas is structured in two parts, addressing different scales. The first—as just described—looks at Palermo as a node of a vast geography of global movements, both in the past, and more specifically in the present. The second core is more focused, and it explores the physical, political and emotional bond between the city and its controversial post-war history, through media, architectural testimonies and private memoires. This section casts light on difficult events, criminal connections, chaotic urban development and more in general the crisis that Palermo has survived and the traces left by those crisis. In order to avoid typical clichés, the Atlas follows alternative readings. We looked at cinema for instance, providing an in depth analysis of how the city was depicted and represented across one hundred and fifty movies shot in Palermo between the 1960ies and the 2000s. We visited and documented private archives of Palermitans who had a crucial role in the construction of city’s modernity—from photographers, to film makers, from architects to performers. We explored and listed hundreds of sites—central and non-central—representative of the political and financial gridlock that has kept the city in a condition of immobility for decades. The Atlas doesn’t provide any conclusion. It’s a quick scan, a tool that creates options, that generates possibilities, that gives a glimpse into the myriads of possible Palermos. 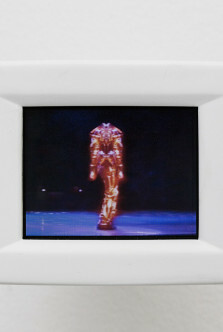 MOUSSE: In what ways did the group of creative mediators transform all this research into a primarily artistic cultural project? 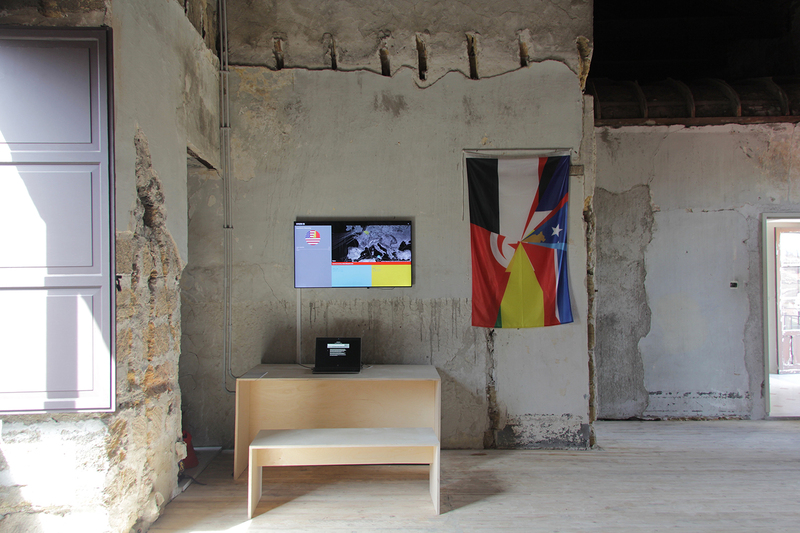 IPL: Palermo Atlas has been used as tool both by the creative mediators and by the participants who have been invited to Manifesta 12. It provided information, guidelines and perspectives. It helped extracting the curatorial project from Palermo, but the translation from the preliminary study to the artistic project was not direct. 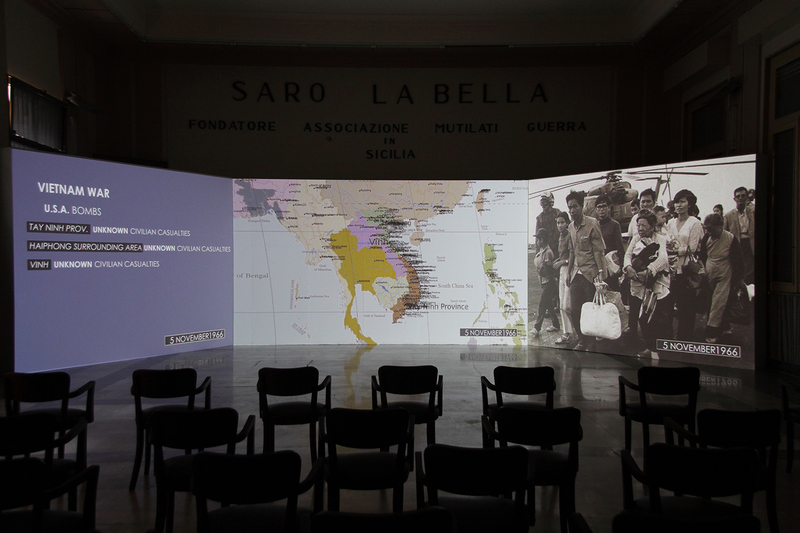 Starting from Palermo Atlas, M12 has tried to explore very complex and urgent themes. We have tried to approach these topics through mamy voices, point of views and disciplines. The composition of the curatorial team is interdisciplinary – Bregtje Van der Haak, journalist and film maker, Mirjam Varadinis, art curator, Andres Jacque and myself, both Architects and Spatial Practitioners—and it is reflected in the composition of the participants, which include botanists, geographers, journalists, architects, anthropologists, writers, film makers, activists, etc. In general we have looked at artistic practices that are at the crossroad of different disciplines and that could provide different forms of intervention, public engagements and visual outputs. 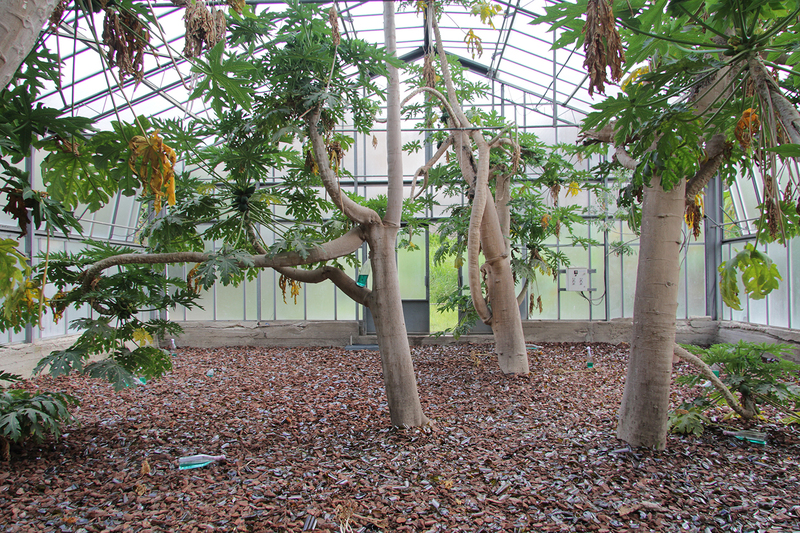 The idea of Palermo as node in a geography of movements triggered the intention to explore different forms of coexistence in the age of planetary flows through the specific lens of Palermo, and it led to the conceptualization of The planetary garden: Cultivating Coexistence. 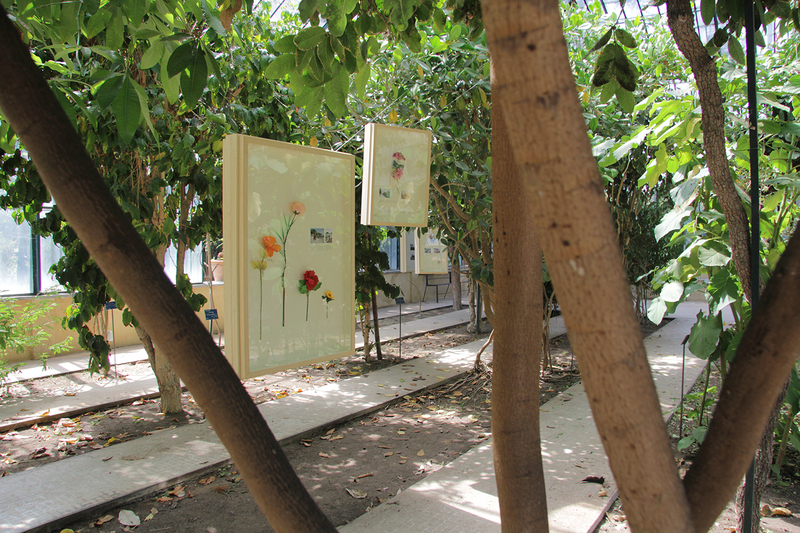 The three main sections of the Biennial are intrinsically related to this perspective: Garden Flows looks at gardens, at our coexistence with other species, with toxicity, with artificial and new forms of nature, it looks at the simultaneous impact of the diaspora of seeds and men under the impulse of climate change, etc. ; Out of control room investigates global flows (capital, people, data, goods) as the unmanageable—out of control—byproduct of globalization, in which politics today are embedded and decided. 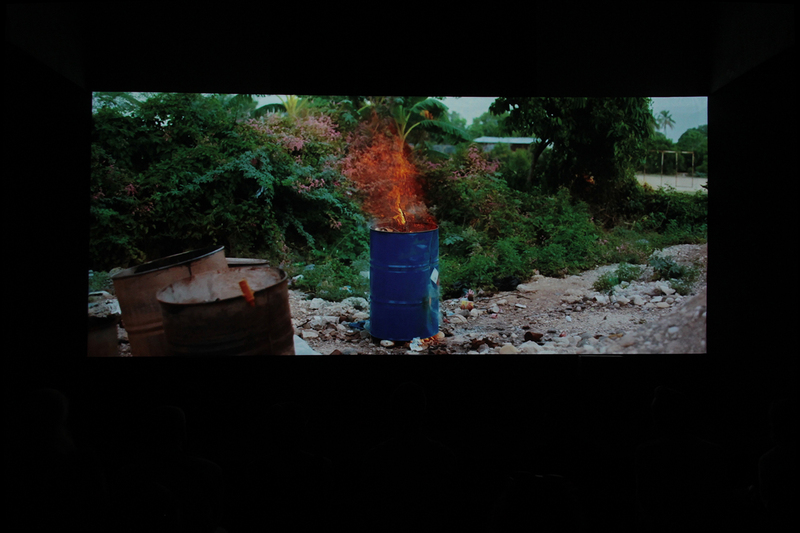 It asks how to render those flows visible and debatable, what agency is left to civic society to access them and how to coexist with the post-human, with technology and algorithmic intelligences; City on Stage looks more specifically at the ephemeral traditions of Palermo’s urban life—such as story-telling or religious processions—and how they have been affected or reinvented by recent migrations and multicultural inputs. 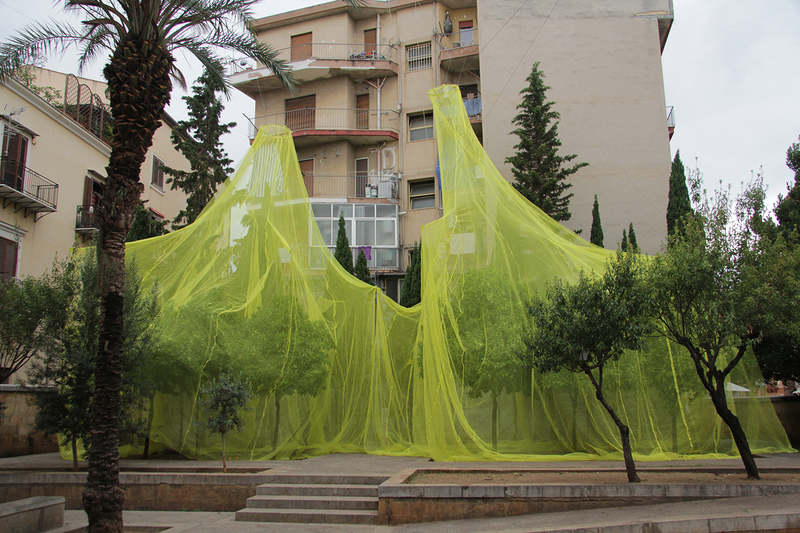 Some projects literally emerged from these observations on the city, such as the performance and installation Tutto by Matilde Cassani, which can be seen as an ode to contemporary Palermo’s rituals diversity. 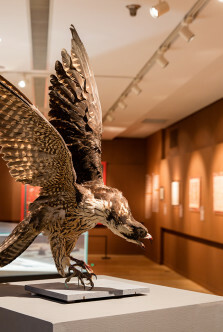 In other cases, Palermitans who have contributed in different capacities to the Atlas became an integral part of the artistic project by developing special projects. Giorgio Vasta for example, writer and script-writer from Palermo curates City Scripts a series of five micro-narratives across space and time of five unknown fragments of Palermo, written by established writers or young migrants, as a new form of story telling. City on Stage also includes actual urban interventions in areas with unfulfilled potentials – this is the case for instance of a number of projects that Manifesta has launched as prototypes, such the intervention on a modern ruin turned into a “belvedere” by Rotor at Pizzo Sella, or the garden by Gilles Clement & COLOCO at the ZEN. Both try to achieve with local communities, a durable change and a shift of perspective in an highly contested realities. 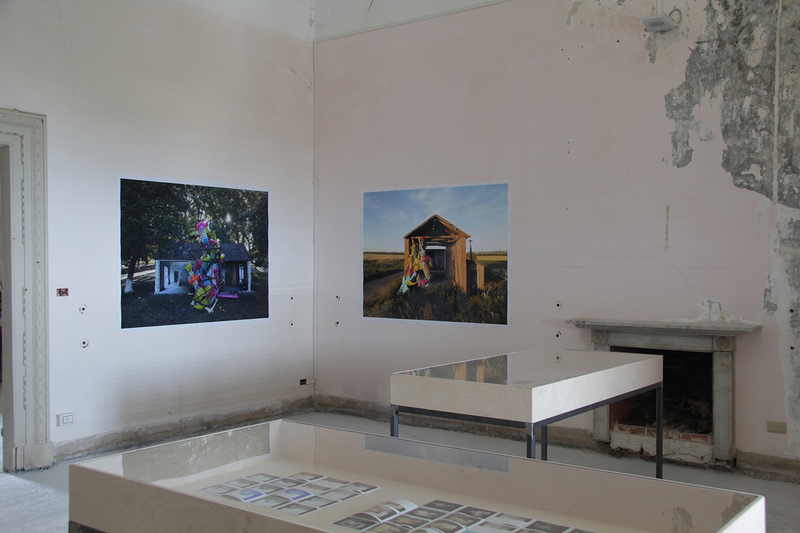 More in general, the physical organization of the biennial across twenty-two non institutional locations – abandoned palazzos, remote modern ruins, gardens, churches, inaccessible fascist buildings, social housing compounds, confiscated properties, etc.—is the result of the explorations across the city conducted during the pre-biennial study and it is based on the intention to use M12 as device to unlock certain areas of Palermo and to make accessible to the public places that are normally not accessible. MOUSSE: In what ways do you think this spotlight will work internationally for Palermo? And how do you think that this edition can contribute to its transformation—or transition, as you said—to a cultural capital? Does Manifesta aspire to—not subvert, but change the existing relationships inhabitants have with art or creativity in general, and exert a long-lasting subliminal effect? HF: Manifesta is not interested in being an instrument of cultural marketing, even if we are putting a limelight on one city. 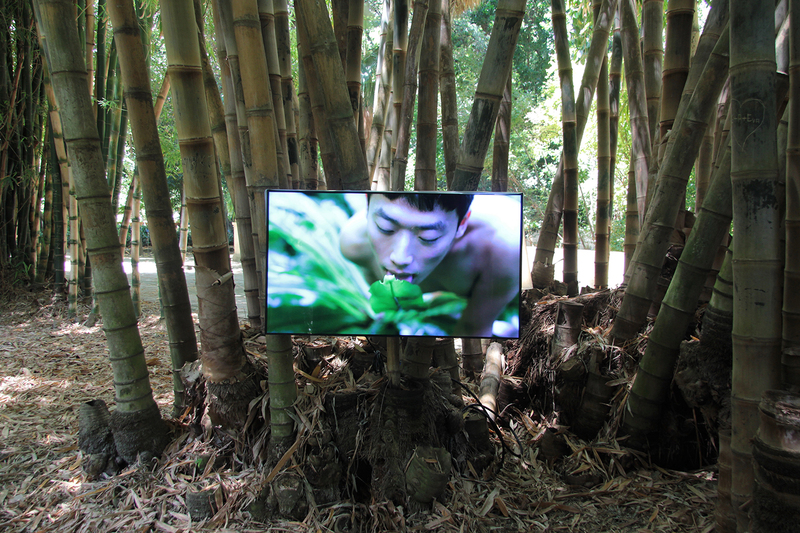 Manifesta is offering a critical response to what we see and experience in cities. It’s not always a confirmation of what we see, but a critical response. So we are not just “a guest in a host city” but “sometimes acting as a parasite in a host city.” That is what happened in Russia, and it happened in Zurich, too, where there were even protests against Manifesta because it was identifying issues that local people didn’t want to hear about or were not interested in. 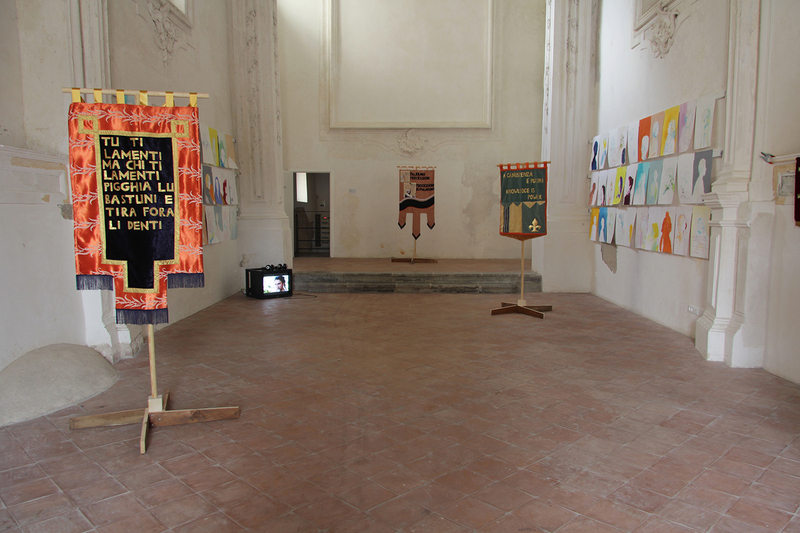 Manifesta always tries to be radically local. This means that we arrive two or three years in advance with a kind of anticipated program called here Aspettando Manifesta 12, “We citizens are waiting for Manifesta.” Sometimes it takes a long time to prepare it, and it’s mostly based on mediation and outreach methodologies and a deep research in the local context. How can we involve local people, grassroots organizations, NGOs, in the process of defining what Manifesta will be? In Palermo, because of the complexity of its last fifty years of history, but also the complexities of government systems, civic ruling systems, criminality, and disorganization, I thought it was very necessary to invite a research body or an institution—and I asked Ippolito Pestellini Laparelli, a partner in the architecture and urbanism firm of OMA—to undertake a research inside the tissues of Palermitan society, so as to prevent Manifesta from coming in with ideas flying, doing a superficial exhibition, and flying out. It came together wonderfully as Ippolito described about Palermo Atlas. It is a direct outcome of interfused data analytics and geographical, ecological, anthropological, and sociological research. It is a kind of present for the city, on which the city can base future strategies. I must underline that Manifesta never works without involvement in local initiatives, local grassroots organizations: it’s not top-down, it’s bottom-up. That sounds very managerial, but this is really the approach, because how can we, as international people, say something about a city without involving the locals? This is why we, as an itinerant biennial with a unique methodology, hopefully are more successful than, for example, the last documenta in Athens, because we have different instruments for connecting with the people. There is a group of ten educators and a large education department; we’re working with local organizations and trying to set up initiatives, activities. Sometimes these involve political activists, but always local people and their histories. All layers in society: children, immigrant groups. This is precisely why Manifesta is different from other biennials, and this all emerges from our twenty-five years of experience in nomadic biennials. MOUSSE: What are some of your consistent strategies for presenting your intentions to the locals? HF: When I go to a city, it’s always on invitation by a special focus group. Not necessarily from the mayor; it can also be local institutions, or art institutions. I ask them, why do you need Manifesta? What things can we implement that you can’t do yourselves? What do you expect us to do? It’s a lot about creating, making things very clear, and managing expectations for the present but also for the future. What is the legacy they want us to leave behind? Manifesta is not the United Nations, we are not the European Union, we cannot create political change in the city of Palermo or the island of Sicily. What we can do is help create an energy, one that is visible and tangible. We can create hope and leaves something behind. We can create a certain vision through the intervention of artists, political activists, filmmakers, architects, who give local citizens, but also international people, a view of what this specific environment looks like to the locals and to the rest of the world. I have a feeling, and it has been confirmed by many Palermitans, that this energy is palpable, and that it is followed up on. 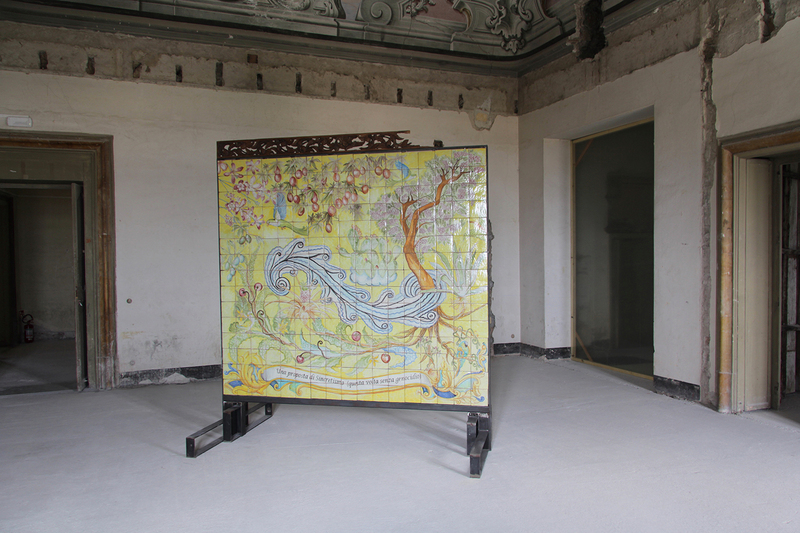 For instance, when it was announced in 2015 that Manifesta was coming to Palermo, Massimo Valsecchi said he acquired the Palazzo Butera which he is now transforming into a cultural and learning institute. At this moment New York University and Harvard University are conducting a three-day Black Mediterranean conference, with all kinds of academics and scholars invited from all over the world. Also Italian cultural capital directly came out of the involvement of Manifesta. So I really think that our power is to act as an incubator that brings about an energy and to transform this energy into, hopefully, a legacy. This is the radical local part of Manifesta. We only can be successful if we transmit this energy to local groups, give them a kind of consciousness and empowerment. 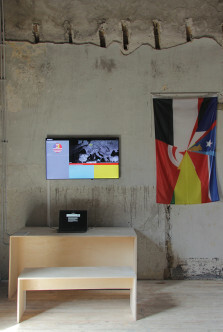 IPL: Manifesta is part of a political vision of the city of Palermo based on culture, multiculturalism and integration. It’s a new narrative based on a shift in politics and culture away from the heavy heritage of crime and mafia, and that is based on the largest possible participation of citizens. 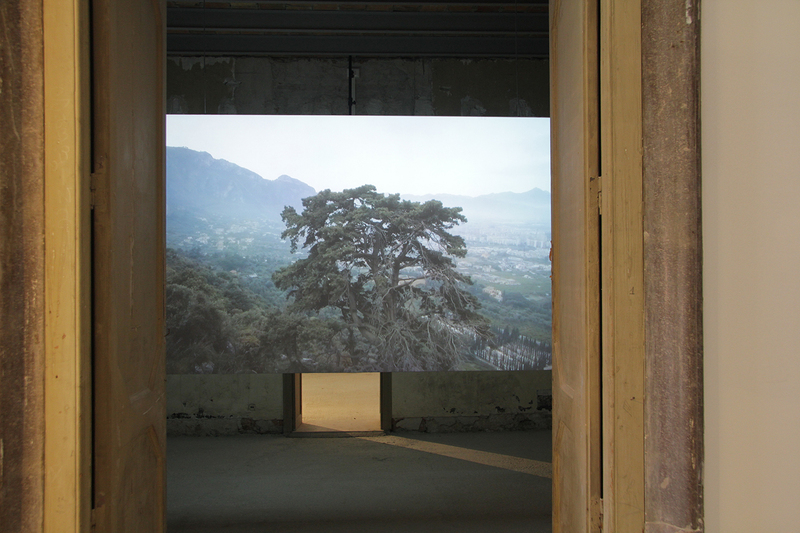 We have unleashed 30 new site specific commissions in Palermo. Every single project was done in collaboration with local institutions, civic associations, experts, private citizens, recently arrived migrants, activists etc. 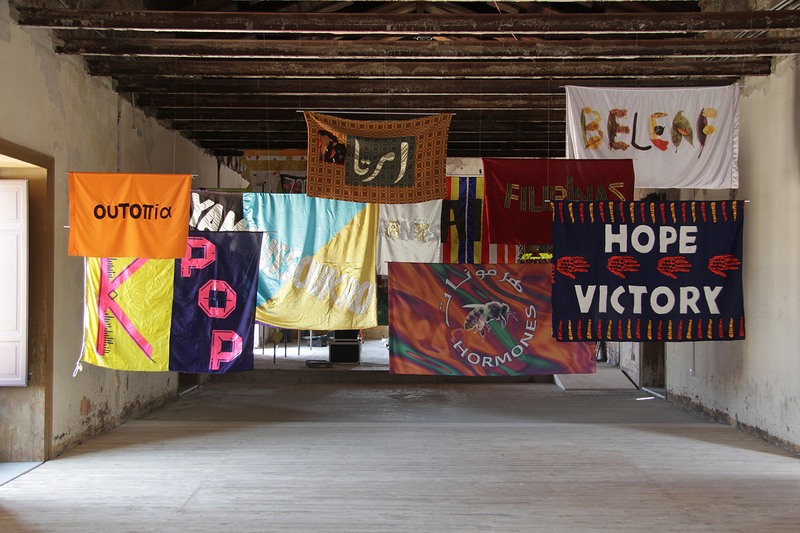 The process of making this biennial—from Palermo Atlas to the implementation of each work—has been developed as a partnership between the city and Manifesta. By creating this network of collaborations Manifesta sets the basis of its long term legacy and communicates with the locals. There are of course different type of projects which probably will have more or less impact. The interventions of Rotor and Gilles Clement involve hundreds of people and being prototypes, they can be scalable and replicable. 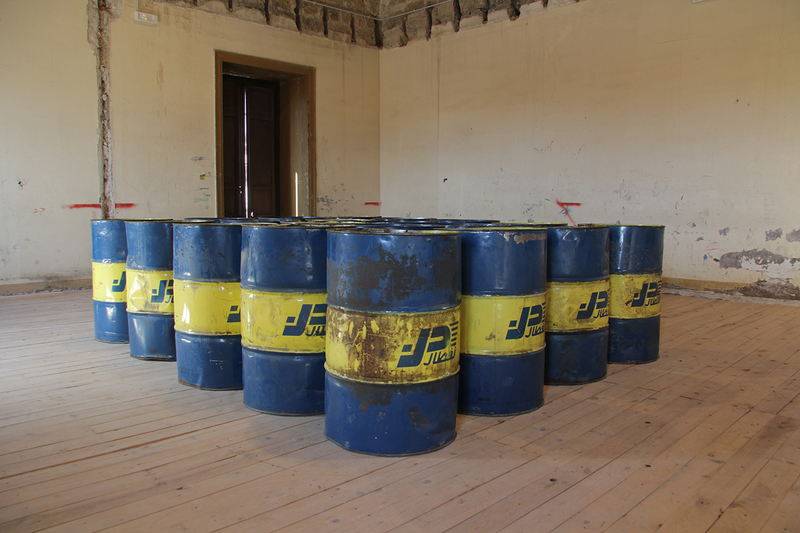 They belong to a different time frame than the one of the biennial: they have started long before the opening and they will outlive Manifesta. Others develop research methodologies and leave on the ground installations that are in between open air labs and theatrical interventions for everyone to experience. This is for example the case of the work by the spatial practitioners duo Cooking Sections on dry irrigation techniques, which was developed with the local faculty of Agronomy, as a response to climate instability and the increasing frequency of droughts. Together with the efforts of the M12 Educational activities, which have also started long before the opening, these operations also testify a general attitude of the Biennial to intercept an audience that is often not exposed to cultural or artistic events. It’s about bringing literally the biennial across the entire city and its population, instead of expecting everyone to visit an exhibition. With M12 we have also worked on the idea of the biennial as a research platform. This is true for the Atlas and for many of the project of the artistic program, but we also went further by setting up a collaboration between four international school of architecture—including the University of Palermo. 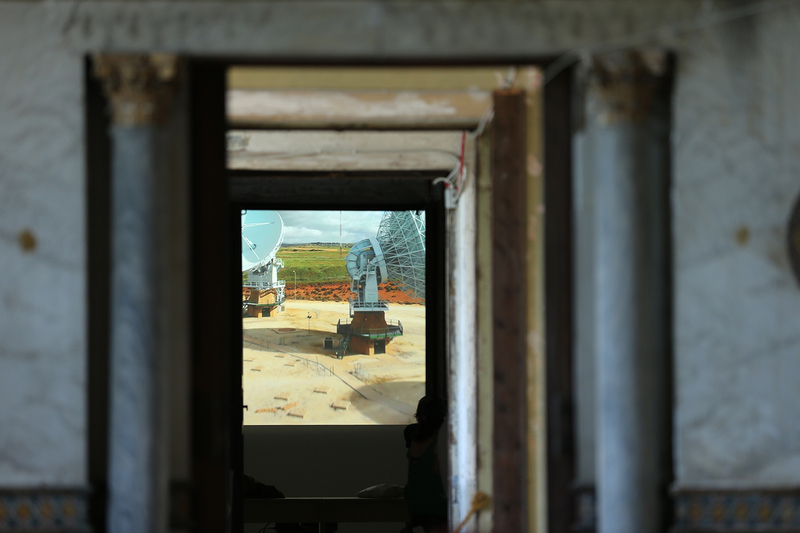 For one year over one hundred students worked as a temporary network called M12 Studios, investigating and researching Palermo. 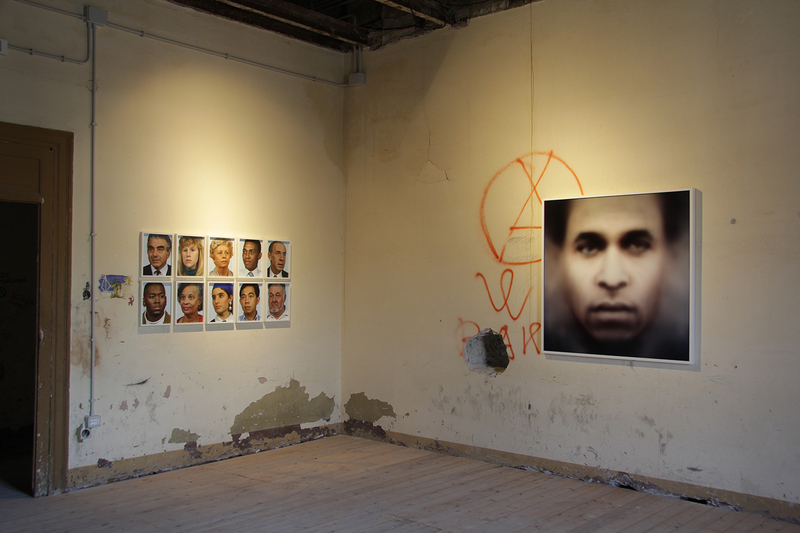 Their work is presented as a performative exhibition that is part of the Biennial. Overall M12 will not leave behind some big sculpture, neither it will be able to solve the structural issues of the city. At many levels and in many places, M12 instead sets process in motion involving communities and cultural practitioners and tries to be a catalyzers of ideas for the future.